Prof. Joseph J. Smulsky is a chief scientist of the Institute of the Earth's Cryosphere of the Siberian Branch of the Russian Academy of Science, a doctor of physics and mathematical sciences, and Professor at the Tyumen Architectural-Building Academy. He was born 13.04.1944 in Poninka, Polonskiy District, Khmelnitskiy area. Since termination the Kharkov Aviation Institute Smulsky has worked for 21 years at Novosibirsk scientific research institutes and Design Offices. In Institute he works since 1988. Smulsky is the specialist in the mechanics of liquids and gas, ecology, wind energy, electrodynamics, and theoretical mechanics. He is the author and co-author more than 100 scientific works and inventions, including three monographs. 1. Protection of the Atmosphere. Within an authors group, Smulsky developed specifications for regulation by the quality of atmospheric city air. 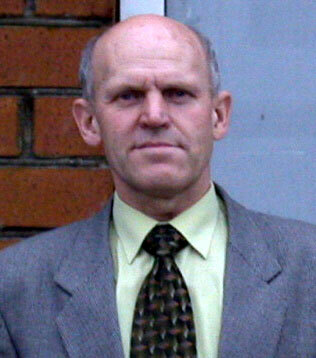 He analysed the conditions of systems of gas purification in thermo-power stations. He also developed a new parameter of atmosphere pollution and an automated pollution rating for a city atmosphere, which was introduced in Tyumen in 1991. In 1988, Smulsky headed the North Development Institute expertise on the feasibility of arrangement of condensate deposits on Yamal. 2. Wind Energy. Smulsky developed a new direction in wind energy, offering various designs of Screw wind turbine: three-rotor wind turbine, self-oriented wind aggregate, cantilevered wind aggregate, vertical screw wind rotor, multi-rotor wind-dam etc. He also developed the scientific bases of their application. 3. Vortical Flows. Smulsky executed systematic experimental and theoretical researches of vortex chambers aerodynamics. He investigated movement of particles in the vortex chambers and processes of particles separation. He developed methods of calculation of aerodynamics and processes in the vortex chambers and in vortex devices. He revealed four mechanisms of circulation formation of the natural vortexes and two mechanisms of energy formation of the atmospheric vortexes that he had lain in a basis of discharge theory of the atmospheric vortexes. "Discharge Theory of Tornado", The Engineer-Physical Journal, V70, N6, pp.979-989 (1997). (In Russian) (Journal of Engineering Physics & Thermophysics - In English). 4. The Foundations of Physics. Smulsky investigated a modern method of describing interactions of the moving bodies, studied transformations of space and time, and established lacks of a modern method. He developed a method of describing electromagnetic interactions, based on dependence of forces on distance and velocity of interacted bodies. He established the absence of objective interdictions on superluminal movements and offered methods of their achievement. He showed the validity of classical mechanics, Newton's law of gravity and showed an inaccuracy of special and general theories of relativity. "The Electromagnetic and Gravitational Actions (The Non-Relativistic Tractates)", Science,(Novosibirsk), p. 225 (1992). (In Russian). 5. Global changes of a climate. Currently Smulsky is studying the problem of dependence of an environment on the Earth from the interaction between Solar System bodies.